Among the foods in season are prawns, watercress, purple sprouting broccoli, spinach and lettuce. 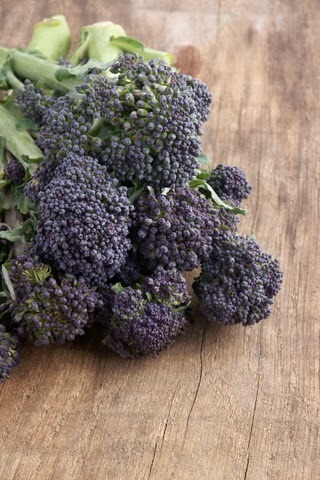 So you have a glut of purple sprouting broccoli. Why not make something of it and serve this simple fare for four? Heat the oven to 200°C/Gas Mark 6 and line a baking tray with parchment. Combine olive oil, Parmesan cheese, garlic, with salt and pepper to taste in a bowl then add the broccoli and give it a good coating. Pop the broccoli in the baking tray in a single layer and roast in the oven for about 10 to 15 minutes. Check during cooking, you want the broccoli tender and the edges a little crispy.